My friendship with Kevin "The Monster" Randleman started in college. We were friends before he was "The Monster". 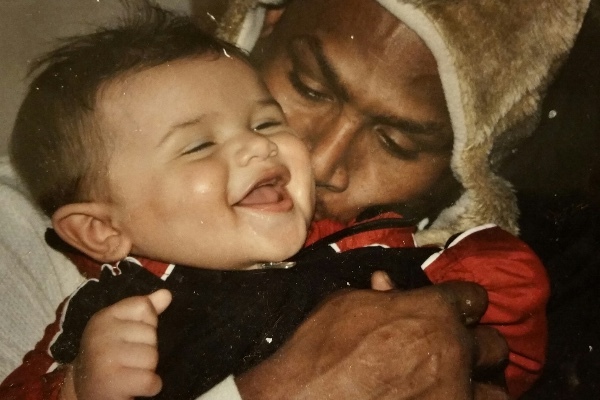 His athletic talents at The Ohio State University as a 2X NCAA Wrestling Champion & former UFC Heavyweight Champion reached fans across the globe. However, his biggest fans will always be his 4 amazing children & his beloved wife. 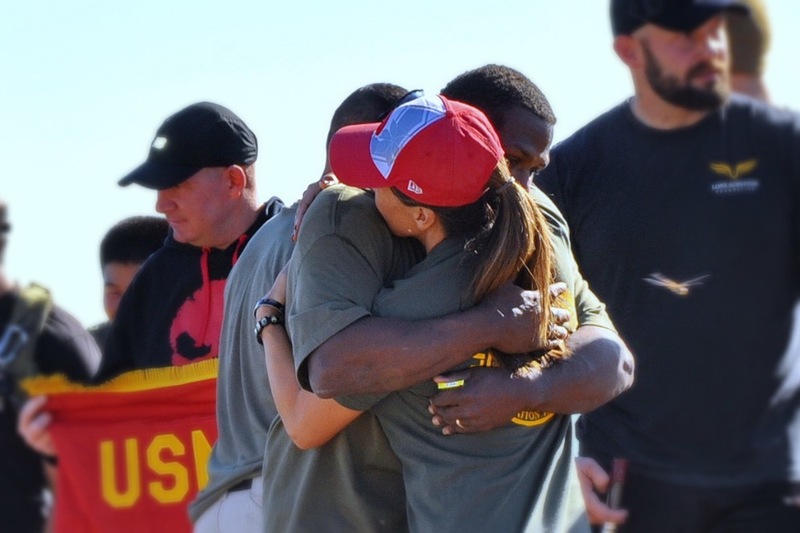 Kevin made a trip to Camp Pendleton, CA this past fall to commemorate the anniversary of a KIA Marine that was his former college roommate & teammate. That is the type of friend Kevin Randleman was. Loyal. This picture is from that Camp Pendleton trip. I wish I could just hug my friend one more time. I wish I could do more than just "hug" Kevin's surviving family during this difficult time. With this campaign I hope to launch & raise funds for his suriving wife's "Kevin Randleman Memorial Fund". It will provide assistance for Kevin's family and share Kevin's passion to inpsire & motivate others to greatness. As popular Kevin was inside the cage/ring, he was more impactful outside. His words were crisp with honesty, and he had this ability to make anyone beleive in themselves. His loyalty to my family will never be forgotten, and I ask of you NOT to forget his family during this difficult time. As heart-broken as I am, I am thankful for today. Thankful that God allowed my life journey to cross paths with Kevin. If Kevin's life impacted yours, thank you for considering a donation to the KEVIN RANDLEMAN MEMORIAL FUND. Thank you for your MONSTER hearts! THIS is an example of who the KEVIN RANDLEMAN MEMORIAL FUND will support. The kids of the MONSTER WRESTLING CLUB competed in states this past weekend. With Elizabeth there cheering them on, they over-came the adversity of losing their Coach Kevin to place third in their state tournament. Kevin believed in mentorship and giving back to others. Monster wrestling kids are taught "Hard Work, Never Quit". Thank you to these amazing boys and girls who honor Kevin's legacy by never quitting. And God bless the parents who are supporting their children during this difficult time. The KEVN RANDLEMAN MEMORIAL FUND supports Kevin's family & shares Kevin's passion to inpsire & motivate others to greatness. Kevin was a great high school friend of mine. Always encouraging me with his inspirational words. My greatest memory of him was when I used to go running at Osborne Park, back in our home town, Sandusky. One hot afternoon I had decided to go out for a 5 mile run in almost 90° heat. All the sudden in my last mile when i was about to stop because it was so hot, Kevin appeared out of nowhere, scared the crap out of me but said to me "You weren't thinking about stopping were you?" Of course I said yes lol and he said to me "No you're not! You're going to push yourself to finish this laat mile and I'm going to be the one to push you!" At that moment I realized there will be more times that i am going to get tired and want to stop but I have to push myself if i want to make it big (To state Championships). He ran the rest of the way with me and continued meeting me out there once a week to run with me. I finished my High school career making it to state 4 years in cross country and 3 years in track. Compiling 2 all ohio placings, a state relay championship and 2 years in a row team state championship. I often thought of all his inspiring words he had instilled in my brain throughout those years. He will be greatly missed by all that he touched. RIP my friend! I shared this on my MMA website/blog, I hope everyone who has a high ranking site does the same. Kevin was a Pioneer and I remember watching him as a kid. He inspired me and made me a fan after the Fedor fight. See you soon up in heaven Monster. Kevin was always nice to everyone. Would go out of his way to train with any of us. Treated us like we were top level fighters, when I clearly was not, lol. These guys dont make enough money for what they do. Please consider a donation to his family. It is just. can we have proof this is for them, put this on the website ? or have a family member put it on fb/twitter? Current champs and execs. You have been called out. Do not miss this opportunity!!! Elizabeth, your gratitude exemplifies Kevin's attitude. With a small offering, for this humble giant, it is my hope that some who have benefited from his pioneering spirit will step up and recognize that they wouldn't be where they are had he not been there before them at a much lesser reward. Thank you for sharing his time and life so that we could all see who and what he was. May God hold you in the palm of his hand at this difficult time. @joseph, it is now on his website & a message is left from his surviving wife as well on this site & Kevin's FB fan page & twitter accounts. Joseph, the web developer is also a family friend of Kevin's so we are all trying to rally around the family to expedite logistical items during this time of grief for all. We will have it up soon on Kevin's website. If you go to Kevin's personal FB page and also his Fan page, you will see that it is advertised there. Thank you for your concern to protect the family, we all share in your positive support. I'm so sorry for your loss. Kevin was a great guy and an amazing fighter. His slam of Fedor is the greatest single moment in MMA history. Huge fan. You were a true inspiration and had a beautiful heart. Let the legacy live on! RIP Kevin, my friend. Winner Forever Kevin Jumpin' Rrrrrrrrrrrrrrrandleman!